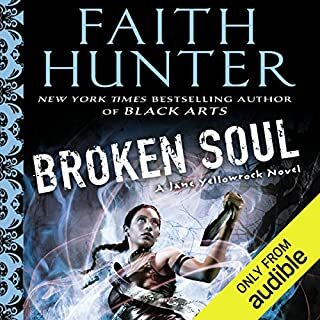 Set in the same world as Faith Hunter's New York Times best-selling Jane Yellowrock novels, the second Soulwood novel tells the story of a woman whose power comes from deep within the earth. After training at the PsyLED academy, Nell returns home to her woods to find the land feeling sick and restless. And that sickness is spreading. With the help of her team, under the leadership of agent Rick LaFleur, Nell tries to determine the cause. But nothing can prepare them for the evil that awaits: an entity that feeds on death itself. And it wants more. 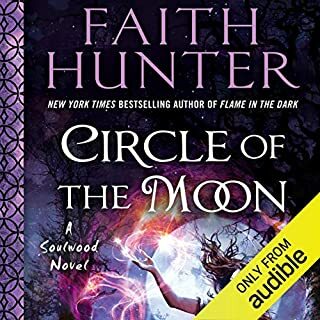 I love Faith Hunter's writing. The way she can weave something from a book years ago in the Jane Yellowrock series into this story so brilliantly. As always Khristine Hvam's narration is absolutely beautifully done. 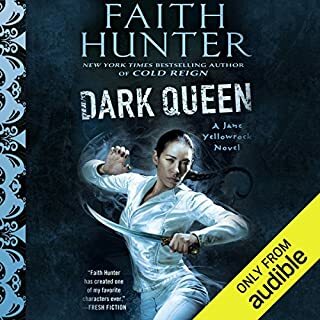 Another winner from the fantastic Faith Hunter! 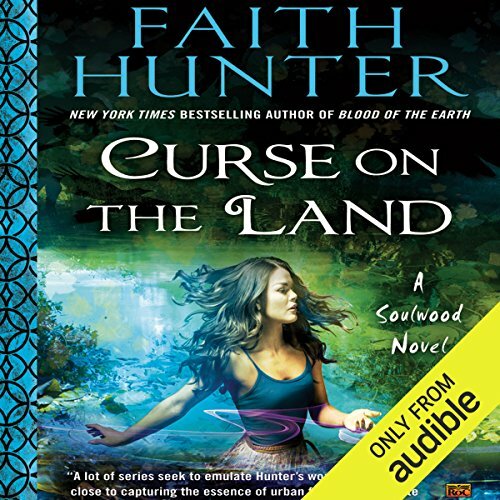 Another amazing effort from Faith Hunter, who is in top form with "Curse on the Land". Nell is a fascinating and flawed character dealing with witches, magic, missing ley lines, ancient entities and plague. Quite a handful for a newly minted PsyLED officer. Skillfully plotted, and impeccably written, "Curse on the Land" is an enjoyable story for new readers or long time fans. 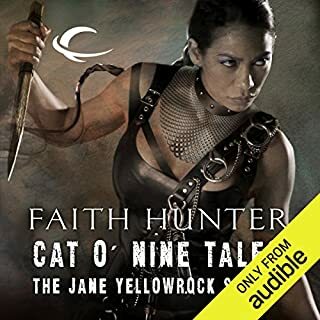 Brilliant addition to the Urban Fantasy universe of Jane Yellowrock. 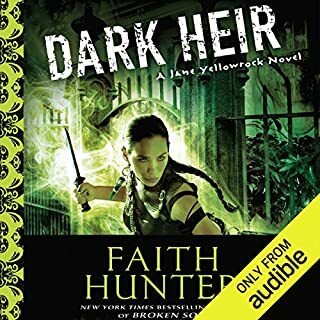 If you are unfamiliar with Faith Hunter's Jane Yellowrock world, and haven't read the first Soulwood book, trust Faith Hunter to write a totally enjoyable book for newcomers. The background information from the first book 'Blood of the Earth" is skillfully presented over the course of the first chapter, and sprinkled naturally throughout the course of the story. No dreaded info dump here. "Curse on the Land" is structured as a police procedural with a lot of magical forensic work. We see the inner workings of PsyLED, the magic cops who are tasked with keeping humans and supernatural folks safe. Nell is smart, has unique magic herself, and has trouble adapting to the structure of working with a team. If you've read "Blood of the Earth" "Curse on the Land" picks up right after Nell returns from her stint at "spook school", reuniting with Unit 18. Nell makes a number of newbie mistakes, but overall is working hard to shed both the narrow definitions of womanly behavior from her fundamentalist cult upbringing, and her knee jerk reaction to authority. The sweet romance arc with Occam the were leopard continues, as does the destructive Rick/Paka relationship arc. We find out more about Tandy, Tlane, and JoJo, and they all play significant rolls in solving the central mystery. The Vampire Oak tree is acting up, as is the evil Brother Ephraim. Just one bit of info that may come in handy, Light Dragons or Rainbow Dragons are powerful magical beings from another dimension that are fond of humans. 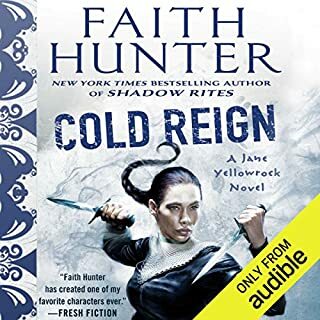 And lastly for followers of the Jane Yellowrock series, Jane makes a cameo phone appearance, Soul as a senior PsyLED officer is present to handle the political fall out and prevent things from spiraling out of control. The tension between humans and witches escalates, as does the conflict between PsyLED and other Law Enforcement Agencies. There are major developments in the Rick/Paka situation which go back to events in "Mercy Blade" and "Raven Cursed". Many things are completely resolved, with enough problems left to guarantee Soulwood 3 will be entertaining. Can't wait to find out why Nell is sprouting leaves, and just what's up with the Vampire Oak tree. Can't wait to see what happens in Soulwood 3. A dozen hours of flowery tension building. The book is just hour aftee hour after hour of flowery spoken tension building without any relief. With most lines existing just to pad and drag things. Not my cup of tea. Exemplifying what I found unpalatable about the book is its climax. The author tossed in the expected complication, the two spells they were trying to divide had merged into one single spell! There was nothing to break apart! Oh no! How will this problem be overcome? Cleverness? Some kind of last minute remembered clue? Would soulwood rush in like the cavalry to save the day? Deux ex machina maybe? Nope. They just kept doing what they were already doing and it worked. No change needed, but now they were more tired then otherwise. So that entire complication existed for no other reason then to pad out a few more paragraphs worth of tension building. That pretty much sums up the entire book. Huge amounts of flowery detail. Very little substance. The author should write political speeches. 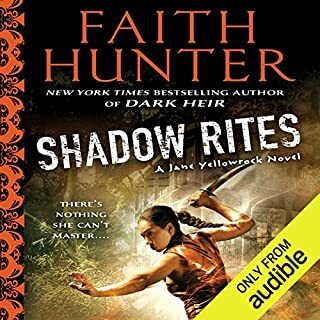 I read the first two books in this series because I enjoyed the Jane Yellowrock books and was hoping for a spin-off series I would enjoy equally as much but the Soulwood books didn't measure up for me. 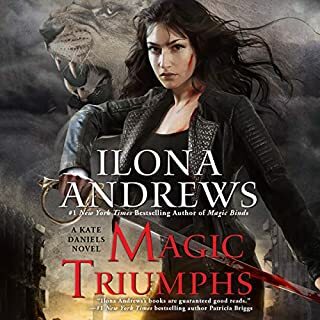 I felt the characters lacked depth and the heroine herself comes across as annoyingly whiny (sorry). 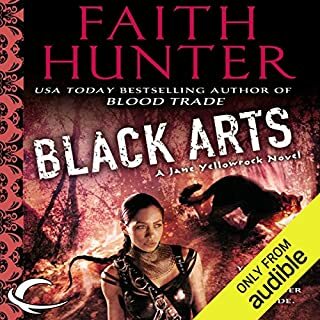 Although Khristine Hvam reads the book well and voices the characters as the writing seems to have been intended they be read not even her talents could save this story for me. 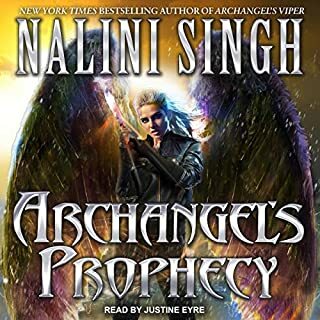 I am rarely unable to finish listening to a book but this one truly tested that practice and only Khristine Hvam's abilities helped me make it to the end. Could you see Curse on the Land being made into a movie or a TV series? Who should the stars be? Casting someone like Eliza Dushku as Nell would add a bit of an edge and strength to the character if the series ever made to it to the screen. 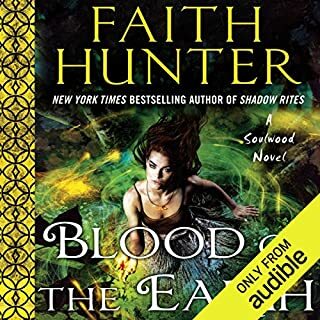 Regardless of m own opinion of this novel I encourage everyone to take a chance if you're a Faith Hunter fan, opinions are very personal and you may feel this is the best book you've ever listened to so go with your gut on this one. The book just feels like it's bragging then telling a story. Letting me know the initials of all these different branches of government and a lot more filler contact I guess to make the book longer. 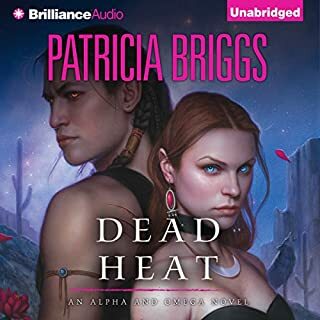 In this second book of the Soulwood series, Nell has just finished her training at Spook school and is immediately put on a case. Personally, I would have loved a book that covered her months of training at PhyLed. Imagine the culture shock when she met all these different individuals and learned how shoot/fight. Curse on the Land focuses on a possible witch working that causes a plague type reaction in the beings close to it. 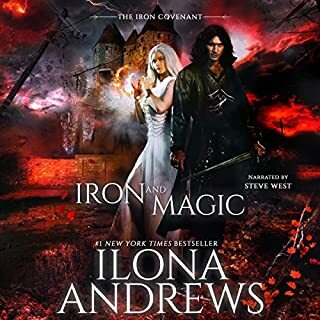 If you enjoy the witch characters and the stories around them then you will enjoy this story. 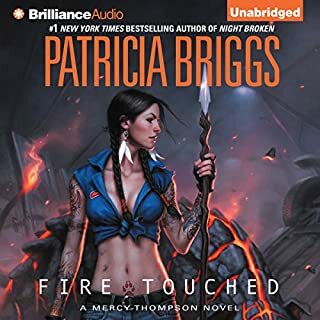 There is also some major character developments with Occam who finds himself wanting to protect Nell from everything; Tangy who finally shows Nell there is more that he is just a shy guy; and of course Rick who gets punched in the gut with a fist full of hurtful truths. Overall, I found the book enjoyable but not as entertaining as Jane Yellowrock. I know the author would prefer us not to compare the two but it's gonna happen. I looked forward to seeing the relationship develope between Nell and Occam. Let's just hope that it doesn't take 6 books for the first kiss. I really like this character and the overall storyline is fine. the characters are interesting. 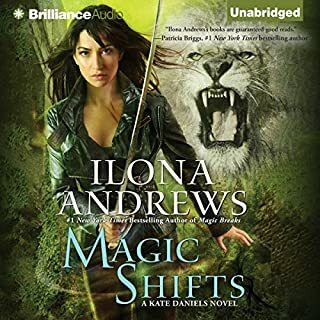 one thing I find challenging in the audio book is I'm having difficulty concentrating and following what is going on when the narrator falls into a hypnotic sing-song cadence. I have to concentrate harder than I'd like to follow what is going on at those times. if she could focus on getting the meaning across in the long narrative passages it might really help. Really..... toxic mold... nazis..... witches. How completely ridiculous! 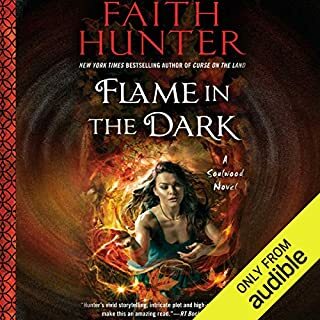 I really struggled to get through the book.I have enjoyed previous faith hunter novels but not this one. If toxic mold and crazy witches is the best she can do, then the Soulwood series is not for me.